The first of our dedicated international nights crisscrossed the globe with lamingtons, tres leches cake and Irish shortbread. Three distinctively different desserts. The Tres Leches cake can be summed up in a word = Milky! Milk in the cake, milk, milk and cream poured over the cake, and whipped cream on top. Not for the lactose intolerant! The cake is made in a unique way – by whipping egg whites until frothy and then beating in the yolks. 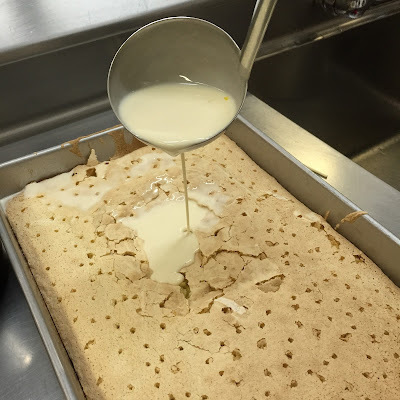 The result is an airy cake perfect for absorbing the tres leches. This was not my favorite, but I could see how others would enjoy the cake. While making the cake we learned a valuable trick. If not serving whipped cream right away, place it into a colander set over a bowl. Top with a layer of plastic wrap and put into the refrigerator. Any excess moisture will drip out and keep the cream light and fluffy until you need it. Our Irish shortbread suffered from poorly calibrated ovens. It never quite browned or cooked all the way through. Have you ever tried to make shortbread and ended up with fingerprints all over the top? We learned a great way to erase them. 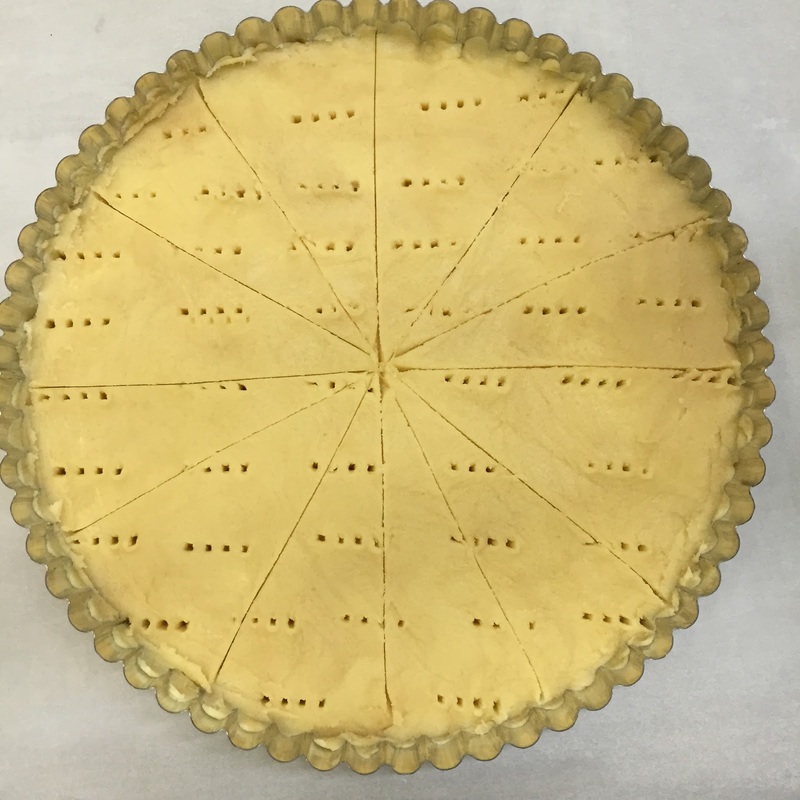 After patting the shortbread dough into the tart pan, lay a piece of plastic wrap across the top. Using a small spatula smooth all the fingerprints away. Peel off the plastic and you are left with a perfectly smooth top. The shortbread get scored and poked pre-baking to prevent them from puffing up from the steam of the melting butter. An important note when making shortbread – the flavor will only be as good as your ingredients. 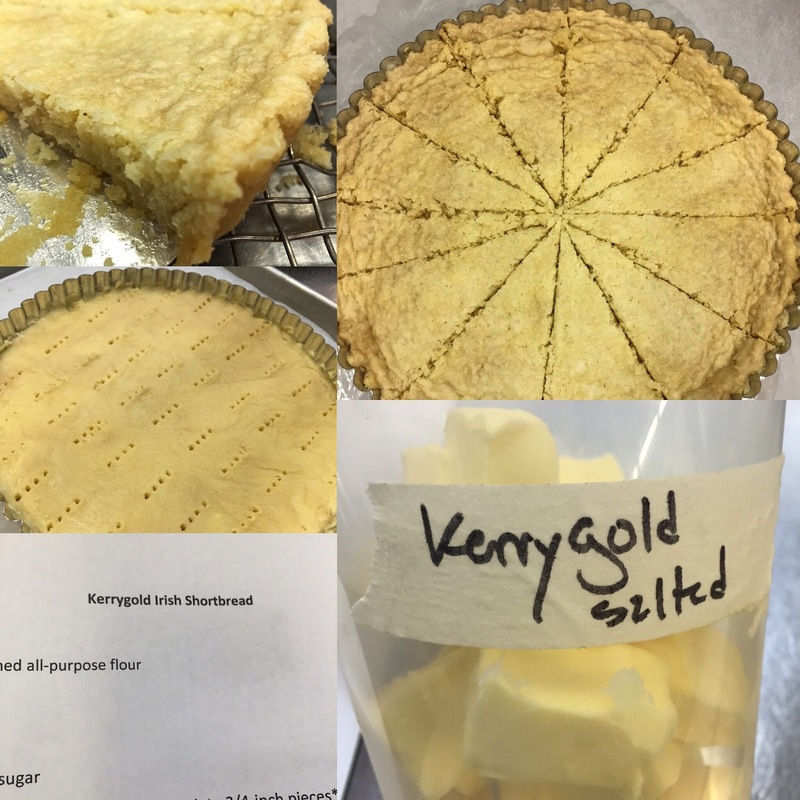 Here we used Kerrygold salted butter which resulted in a rich and delicious flavor. 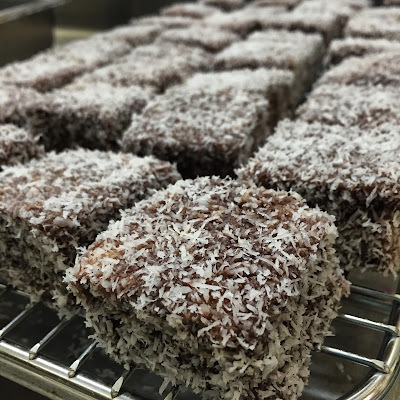 The lamingtons were the most fun. 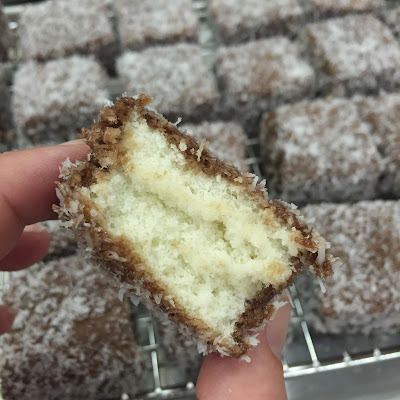 The texture of this coconut and chocolate coated sponge cake was amazing. The chocolate icing stays on the outside and the cake stays fully and pristine on the inside. We achieved this by sticking our cake in the freezer for a few minutes before icing. One important takeaway here. The recipe called for lemon extract and initially we felt it smelled strong, almost medicinal. We followed the recipe and added it in anyway. We probably should have skipped it. The lemon extract is stored in a plastic bottle and either had gone bad or the plastic bottle was leaching. It is very important to check all ingredients before adding them in. If you get to the last item in your ingredient list and then realize it is no good the whole batch will be ruined! Another important task is to have your mise en place before starting – every ingredient measured and lined up ready to go. Read the recipe thoroughly and then dive in. You never want to find out you are out of cream when everything else is already mixed in the bowl! What is your favorite dessert from international travel? Local international bakery? Favorite food destination?